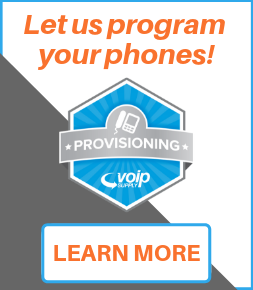 Since 2002 VoIP Supply has been North America’s leading provider of VoIP solutions. Paramount to our company purpose of “Solving Problems and Creating Solutions with VoIP” is the creation of a focused, best-in-breed product portfolio. Keeping the portfolio relevant and focused requires us at times to remove product lines that don’t line up with our purpose. QNAP is a manufacturer whose main focus is IP surveillance and while we find their products to be excellent in the IP surveillance market, they are not at their core a VoIP telephony manufacturer. Therefore, we will no longer carry this product. To find a partner that can help you with creating your QNAP solution, VoIP Supply recommends viewing the Where to Buy page on the QNAP website.